SheilaLynnK Art Studio supports the Fassett Greenspace as a valuable sustainable asset to individual and community wellness and the future of environmental and cultural awareness and preservation in our rural community. Art for Rural America works to bring the benefits of creativity to people of all age groups, nationalities and economic conditions living in rural America through artistic, cultural, and educational programming. To exist as an interactive space for art and creativity, local artists will display their work in the GreenSpace and the public is invited to experience the area as a transformational tool. 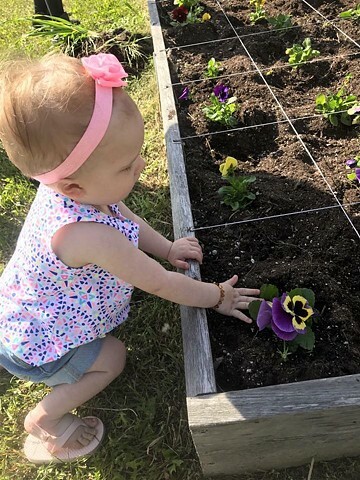 To exist as an intricate yet functional community garden: an outdoor space where children and community members can take part in organic growing, learn environmental stewardship, and create a stronger connection to Wellsville. “The Fassett GreenSpace” will be more than just a set of raised garden beds; rather it will be a living laboratory for local schools and adult programs, a tool to combat food insecurity, and a showcase of resilience, creativity, and collaboration within Allegany County. Of course, none of this would be possible without the generous support from our community. We would greatly appreciate it if you could contribute to help us with our proposal. All of us at Art for Rural America would like to thank you for your interest in this project.